The automotive collective has been eagerly awaiting the revival of TVR for over a decade. Now, after drip feeding details of its new car for months, TVR have confirmed their new creation will finally be unveiled at the aptly named Goodwood Revival event in September. 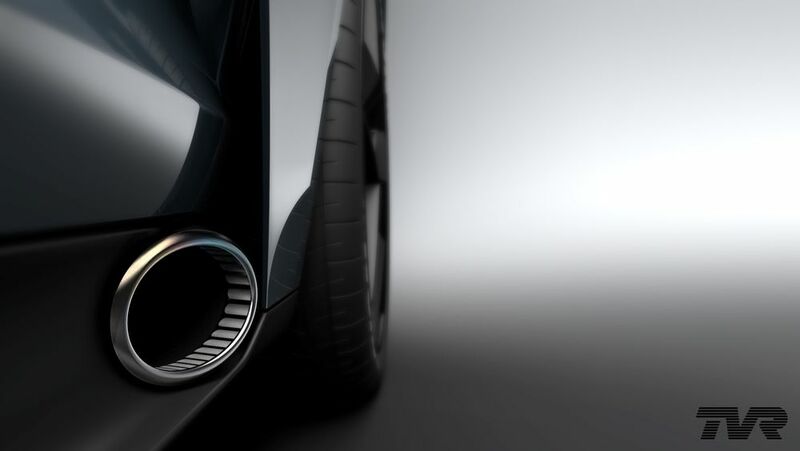 TVR claims that their new carbonfibre machine will crack 200mph, weigh just 1200kgs and have a power to weight ratio of around 400bhp-per-tonne. If you do the maths, that means the Ford Coyote derived 5.0-litre V8 will have near on 500bhp. The NA power plant will be coupled to a manual box, so no record breaking 0-62mph times here. The British firm insist it will compete the dash in under 4 seconds which is more than adequate. It will be built using a process called iSteam, which involves using a steel chassis cladded in lightweight carbon skins. A limited ‘Launch Edition’ will come first. Only 500 of these will be made and prices will be around the £90k mark. That puts the Brit in contention with the utterly brilliant Porsche 911 GTS. Good luck TVR, we’re all rooting for you. This entry was posted in News, Sports Car and tagged TVR.